While on a visit to Israel, Prince William (second heir to the throne following Queen Elizabeth II’s reign) spoke fondly of his deaf great-grandmother, Princess Alice, and the life she led. 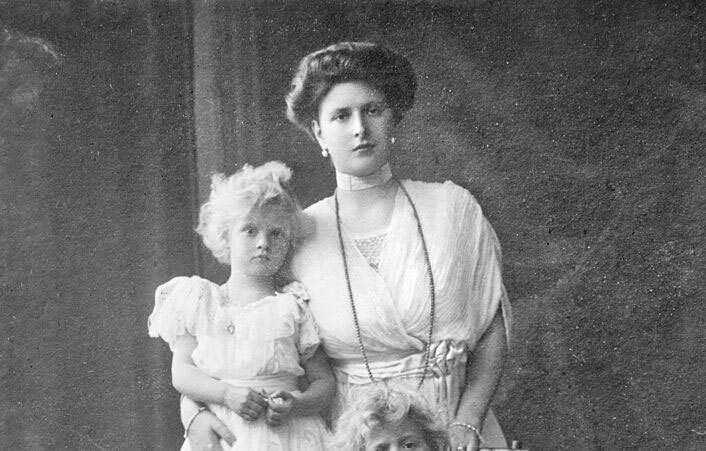 Princess Alice of Battenberg – great-granddaughter of Queen Victoria – was born deaf in 1885. She spent her childhood in England, Malta and Germany: learning sign language and becoming fluent in English, German and Greek. In 1902, she met and fell in love with Prince Andrew of Greece & Denmark. They married in 1903. Princess Alice served as an army nurse in World War I, and was awarded the Red Cross by King George V.
Alice and Andrew had five children, including Prince Philip (the Consort of Queen Elizabeth II). The family moved to Paris after the Greek royal family were overthrown and cast into exile. The princess helped in a charity shop for Greek refugees. She became deeply religious and entered the Greek Orthodox Church in 1928. She later suffered a nervous breakdown, and the princess was diagnosed with paranoid schizophrenia in 1930. She was forcibly removed from her family and placed in a Swiss infirmary. Sigmund Freud believed her delusions were the result of sexual frustration, recommending ‘x-raying her ovaries in order to kill off her libibo.’ For two years, the princess protested her innocence and repeatedly tried to escape the asylum. During this time, she and her husband drifted apart, she missed her daughters’ weddings and Prince Philip went to England to stay with his uncles. She reunited with her family in 1936, but in 1938 returned to Athens alone to work with the poor. During World War II, she hid a Jewish family from the Nazis who were occupying Greece in 1943. She was invited to live in Buckingham Palace before passing away, two years later in 1969, aged 84. Her grandson Prince Charles was 21 years old. For many years, her remains lay in the royal vault at St George’s Chapel, Windsor. She had wanted to be buried in Israel near her aunt and mentor Elizabeth Feodorovna, and so her remains were moved in 1988. Political unrest prevented Prince Philip from attending the burial, but he made a private visit in 1994. Prince William recently laid a wreath on Princess Anne’s grave, a few days after his visit to the Yad Vashem Holocaust Museum & Memorial Centre. The centre recognised Princess Anne as a Righteous Among the Nations in 1993 and the British government also named her a Hero of the Holocaust in 2010. Independent writer, volunteer and performer from Lancashire, England. May every day be GEP: Good, Exciting and Productive!